Stereotactic Radiosurgery delivers a single high dose of radiation using a non invasive approach, with the aid of digital imaging. It is used for tumours that may be inaccessible or unsuitable for surgery. Stereotactic Radiosurgery is commonly used for lesions less than 3cm in size including cranial metastases, and other benign tumours such as acoustic neuromas, meningiomas, arteriovenous malformations and trigeminal neuralgia. 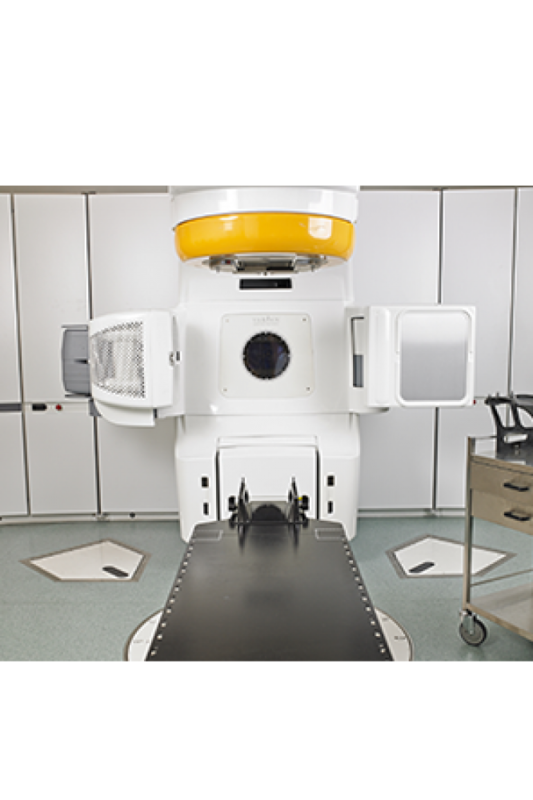 Stereotactic radiation therapy is the same as Stereotactic Radiosurgery, however, the radiation dose is delivered over several days (fractions) instead of a single day. This type of treatment allows treatment of larger tumours and those close to important structures. Tumours that we treat at Chris O’Brien’s Lifehouse with Stereotactic Radiosurgery include meningiomas, large acoustic neuromas, craniopharyngiomas, and pituitary tumours.